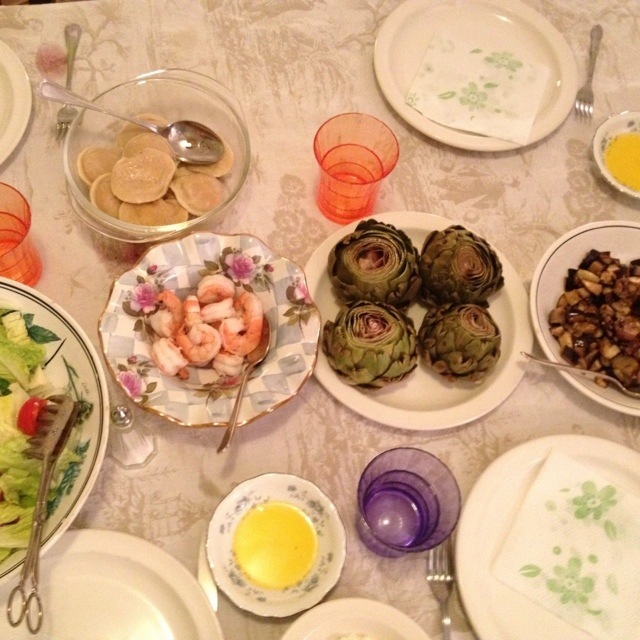 Tonite, because my sis-in-law is visiting, we had a vegetarian dinner: pumpkin ravioli, eggplant, shrimp, artichokes, and a big salad. There was something for everyone. I think it’s better to eat a bunch of healthy, yummy stuff than just meat and potatoes. The more food, the merrier.